It’s time to submit your application to University of Houston-Clear Lake and get the next phase of your education under way. We are honored that you’ve selected our school as the location for your graduate studies, so we want to do everything possible to ensure a smooth and successful application process. Some programs have special applications procedures, so you will need to submit the correct documentation outline by the college offering your graduate program. If you are planning to enroll in a UHCL program that is taught off-campus or online, you should select the program on the application that includes your preferred campus location (e.g. HSH–Nursing RN-BSN-Pearland); or, you may also choose the online option (e.g. BUS-Finance MS-Online). It is important to select the correct program so you receive important information relating to your chosen campus and to maintain accurate enrollment records. Please note: selecting off-campus or online programs will not prevent you from enrolling in additional courses at the Clear Lake campus. You can pay online through ApplyTexas.org or through E-Services using your institution-issued student ID. Degree seeking students should submit official transcripts from every college or university attended to the Office of Admissions. These should be sent to UHCL electronically from the universities you attended. Master’s applicants should submit transcripts showing an earned bachelor’s degree. Doctoral applicants should provide transcripts showing an earned master’s degree. Transcripts must be in a sealed envelope from the issuing institution, and must be printed no more than 60 days prior to receipt by UHCL Admissions. Some programs may also require the submission of official transcripts to the department of your degree program. International students should see International Admissions for additional requirements. Official GMAT, GRE or MAT scores must be submitted as required by the department of your degree program. Please see the catalog and/or website for the required scores. Scores must be sent directly from the testing agency. Test scores should not be more than five years old. Before submitting a test score, determine if you qualify for a graduate test score exemptions. If you were born or educated in a country where English is not the native language, you must demonstrate English proficiency prior to admission. You can meet this requirement by taking the paper or internet TOEFL exam, Intensive English Language Test (IELTS) exam, Pearson Test of English (PTE), or by successfully completing the ELS Intensive English Language program. You can successfully complete level 112 in the ELS Intensive English Language program. Your scores cannot be more than two years old, and only those received directly from the testing center will be accepted. You can also review the New Student Information section in our online or paper catalog to determine if you qualify for a waiver of this requirement. Once all of the required official documents are received, an admission decision will be made and you will be notified in writing. Each academic school has a different admission review process including varying review schedules. For questions about admissions requirements or procedures, contact the Enrollment Management Counselor for your academic college. We look forward to receiving your application for your graduate studies here at UHCL. Criteria that require submission of a standardized test score: Less than 3.000 cumulative GPA on the last 60 hours of coursework (3.000 GPA preferred on the last 60 hours of coursework) and submission of GMAT score. 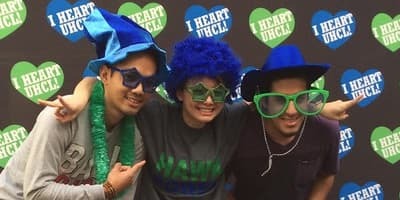 UHCL Students: Have an overall GPA of at least 3.000 in upper-division courses at the University of Houston-Clear Lake (UHCL) and have a minimum of 12 credit hours of upper-division Accounting courses at UHCL, with an overall GPA of at least 3.000 in those courses. 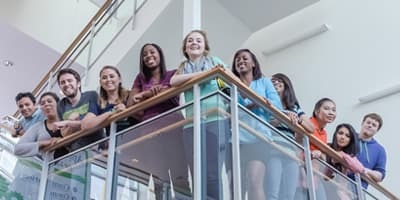 Non-UHCL Students: Have an overall GPA of at least 3.250 in upper-division courses at an institution with AACSB Business accreditation and have a minimum of 12 credit hours of upper-division Accounting courses at an institution with AACSB Business accreditation, with an overall GPA of at least 3.250 in those courses. Advance Degree Holders: Earned a graduate degree in business from an AACSB-accredited university or a Ph.D., M.D., Ed.D., D.D.S. or J.D. from accredited U.S. institution (or U.S. licensure). Step 1: Apply online for admission to the University of Houston-Clear Lake as a graduate student. Step 2: Apply online to the Clinical Psychology Program before January 25. Graduate admission to the university. The program requires five prerequisite undergraduate psychology courses (15 hours): Introductory Psychology, Abnormal Psychology, Social Psychology, Theories of Personality and one (3 additional hours) of upper-level psychology. Preference is given to applicants with all prerequisites completed. Submit GRE scores (not more than 5 years old) through the standard reporting procedures. Submit official transcripts from all institutions attended. Statement of purpose and goals, not to exceed 2 pages single-spaced, describing your reasons for wanting this degree and how it fits into career goals. recommendation to clinicalschool@uhcl.edu. Recommendations from academic faculty and/or work supervisors who know you well are especially preferred. Curriculum Vitae: An expanded résumé describing previous education; all work experience; relevant course work and relevant volunteer activities; any honors, presentations, papers, avocations or other relevant life experiences. Statement of purpose and goals, not to exceed 1,000 words, describing your reasons for wanting this degree and how it fits into career goals. Applicants must apply for admission to both the Doctorate of Psychology program and to University of Houston-Clear Lake through ApplyTexas.org. Specialist or Master’s degree in School Psychology or Master’s degree in Clinical Psychology or related field. GPA of 3.4 or higher. Score of 300 or higher on the Graduate Record Exam (GRE), with a minimum score of 3.5 in Analytical Writing. Research evidence/potential (publication, thesis, formal research project, participation in research). Scores on the general test of the GRE and TOEFL (if required). You must also have three (3) Recommendations for Applicant Admission submitted on your behalf. Each writer must complete the recommendation form and write a separate letter. Each recommender should email their letters to Psyd@uhcl.edu. For a more detailed explanation, you can download the Application and Admission Process. After initial review of the application materials (application, recommendations, and supplemental material) an admissions committee will invite selected applicants to campus for an interview. Interviews will typically be scheduled in February. Applicants will be notified of their program admission status by April 15. Apply to Industrial / Organizational Psychology through ApplyTexas.org. • Do not apply to Psychology or General Psychology, as these are different programs, and acceptance into Psychology does not mean you are accepted into the I/O program. • Apply Texas.com will forward your application to UHCL Admissions within a few days of your submission. • Our Admissions office will create a student account for you and then contact you once it is available for use. GPA over the last 60 hours will be at least a 3.0. Submit official transcripts from all institutions attended. Courses taken more than five years ago will not count. GRE scores will be: Verbal score of at least 146 and a Quantitative score of at least 146. The scores cannot be more than five years old. If some of these courses have not been taken, you are still eligible to apply if all other expected requirements are met, but would be required to take these prerequisite classes while enrolled. CV/Resume: describe your previous education, work experience, relevant coursework, relevant volunteer activities, any honors, published papers or other relevant life experiences. Upload an updated resume or Curriculum Vitae (CV) by logging into your E-Services account, selecting your "To-Do List," and choosing "Details/Upload Documentation." Statement of Purpose: include why you are interested in I-O Psychology in general, and why you are interested in our program at UHCL. Include any additional information that you think relevant that will help us to know you better. Upload a personal statement of 1000 words (or less) by logging into your E-Services account, selecting your "To-Do List," and choosing "Details/Upload Documentation." 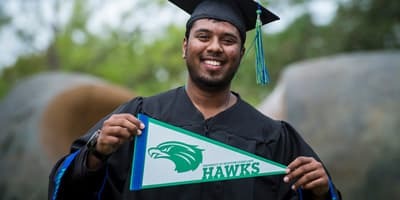 Transcripts: All transcripts and GRE scores should be sent to the UHCL Admissions Office by e-mailing admissions@uhcl.edu or calling 281-283-2500. Domestic students with international backgrounds must make an appointment with the Office of International Admissions and Programs (OIAP) to submit their international transcripts and proof of degree. You can contact OIAP at OIAP@uhcl.edu or 281-283-2740. All accepted students begin the program in the fall semester. We accept applications for admission from December 10 through February 15. We review applications in March and notify applicants in April. Applicants who apply after the February 15 deadline may be given consideration to the extent that positions for the program are not yet filled. Applicants assume the responsibility to ensure that the completed application for UHCL, complete application for the I-O Psychology program, GRE scores and any supporting documents are received by the Office of Admissions by the deadline. 1. Complete the ApplyTexas online university application. 2. Complete the Additional Supporting Documents for the program (below). Submit official transcripts from all institutions attended to the UHCL Office of Admissions. Three letters of recommendation and recommendation forms (available here) should be submitted directly by the recommenders to familytherapy@uhcl.edu. Recommendations from academic faculty and/or work supervisors who know the applicant well are especially solicited. 1. Complete the "ApplyTexas" online university application. 2. Submit additional supporting documents for the program (outlined below). Three letters of recommendation and recommendation forms (found on program web site) should be submitted directly by the recommenders to clinicalschool@uhcl.edu. Recommendations from academic faculty and/or work supervisors who know the applicant well are preferred. Additional Requirements – Undergraduate degree in Computer Science or closely related field and extensive background in Computer Science. GRE is not required for students with Master's or Ph.D. degree, or undergraduate with bachelor's degree from an ABET accredited program. Additional Requirements - Undergraduate degree in computer science, mathematics, computer engineering or another disciplines related to computer science with extensive background of computer science. Additional Requirements – Undergraduate degree in a related field including preparation coursework as listed in the catalog.